Parents! Do you know about our amazing Kid’s Program available to your children during the Spring Conference? Let me introduce you to just a few of the stellar teachers we have that will be teaching the next generation of organic growers! Click HERE to register. Lena lives in Ashevillle, NC passionately bringing Nature-Based Rites of Passage and Empowerment Programs for girls and women of all ages and Nature Connection for Kids. She is the founder and director of local non-profit Earth Path Education (earthpatheducation.com) where we listen to the earth as our wisest mentor, offering Nature Connection and healthy village building through strenghtening relationships with one’s true nature, the earth and community. Lena has organized and facilitated the Soil Sisters (young women’s program at the Southeast Women’s Herbalist Conference) for the past 6 years. Lena shares her love of art, music, nature connection and games as a teacher at The Learning Village (sacredmountainsanctuary.org) and Children’s Earth School. Jenny received an undergraduate degree in art and elementary education from American University and a graduate degree in Fine Arts from the School of Visual Arts in NYC. She taught fine arts to K-college students for 8 years in New York City. 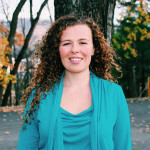 She currently teaches kindergarten at Sacred Mountain Sanctuary, a play based early childhood program inspired by nature and Waldorf education. Aaron Birk is an Asheville-based graphic novelist, puppeteer, wood-worker, clothing designer, mushroom farmer, restoration, ecologist, choreographer and acrobat hobo clown. He brings twenty years of professional experience to his teaching practice, including Rainbow Mountain School, Radiolab, and Fungi Magazine. Aaron is the author, illustrator and publisher of “The Pollinator’s Corridor ,” a graphic novel about restoration ecology, guerilla gardening and urban beekeeping in the post-industrial Bronx. In Aaron’s classroom you will be invited to unlock your brilliance, create new mythologies, and follow a path of artistry. Chelsea lives north of Asheville on a heavenly piece of land where she grows food, ferments it and sings her gratitude every meal. She’s passionate about reminding people of the beauty of the Earth and that every meal we eat is a gift. Chelsea shares her love of the natural world as a facilitator with Earth Path Education. Michelle Carter is a mother, wilderness mentor, educator, and farmer. An avid beekeeper, she loves most to share her passion for all things blooming and winged with children. Playing with young ones in the woods brings joy, enthusiasm and fulfillment to Kai. Kai has staffed summer camps through Forest Floor in Asheville, NC, as well as facilitating several day-long programs for a variety of ages, instructing a whole semester of programming for 4-6 year-olds, staffing a week-long rite of passage for young men, and coordinating the kids program at Rivercane Rendezvous in LaFayette, Ga. In the world of woods play, Kai is best-known for prowess climbing trees: inspiring others to get their feet off the ground by climbing trunks without branches, moving from tree to tree.